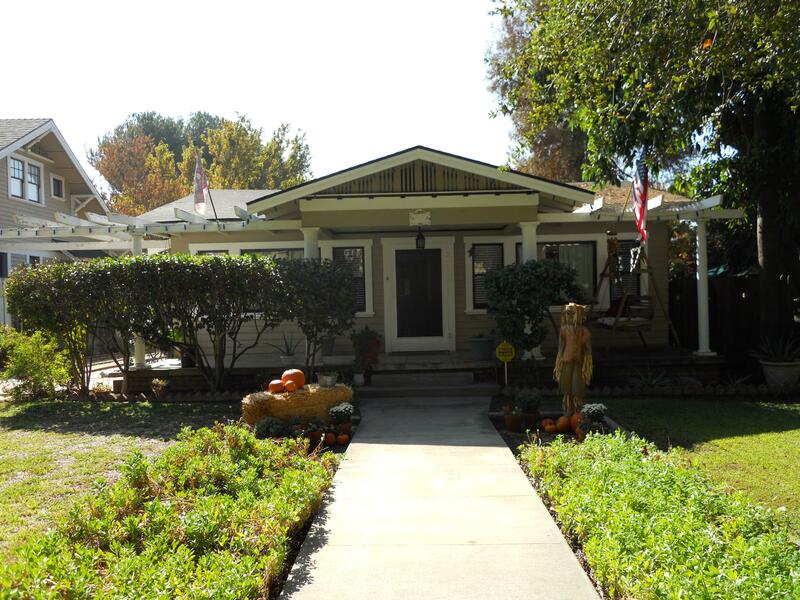 As you know, last week we were fortunate enough to have our home included in a Home Tour. 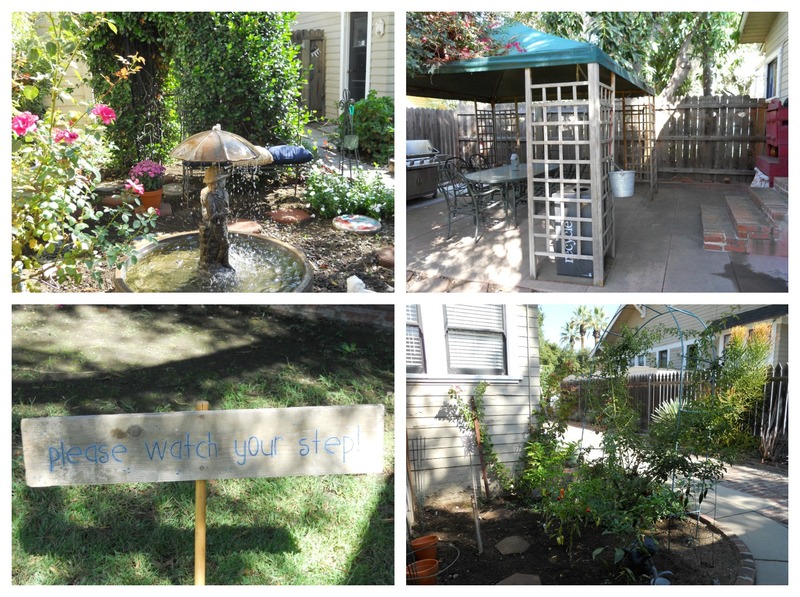 In Part I’s post I showed pictures of the inside of the house and as promised photos of the yard in Part II. Today I’m making good on my promise. Here’s a shot of the front of my house. I love decorating for the holidays and really enjoyed putting together the fall display. It’s different every year and I’ve even added more pumpkins since the picture was taken. This area in my front yard is almost completely shade which presents a challenge when all you want to see is color. I’ve learned to compromise and appreciate all the different shades of green. I recently removed a large tree from here and have to say I’m enjoying the space much more. 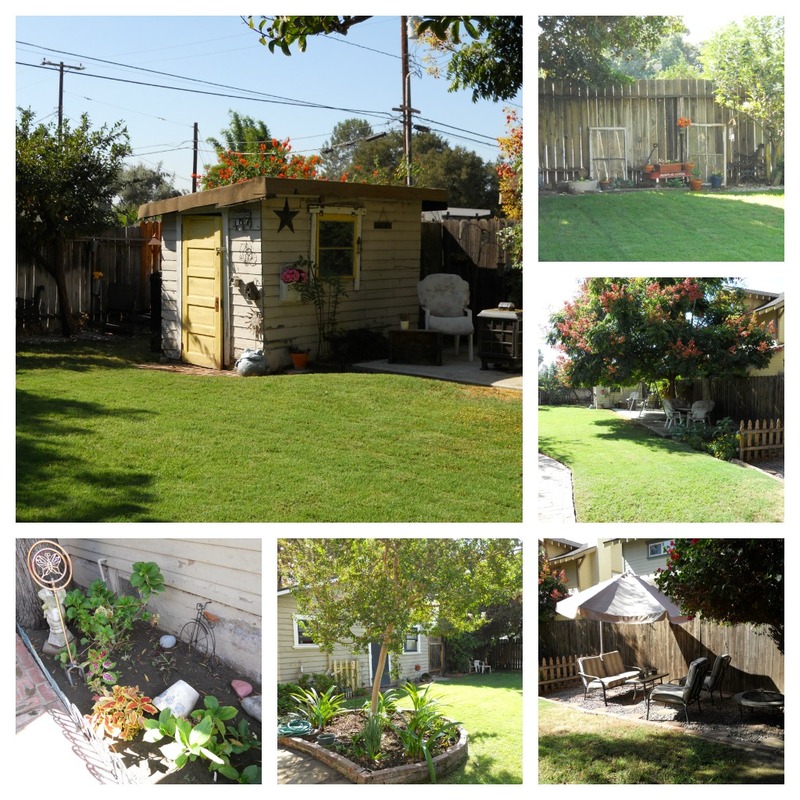 Moving into the backyard, we have a large open grass area with flower beds and several different sitting areas along the edges. I love my garden shed and spend quite a bit of time in there potting flowers. One of our favorite features in the yard is the fountain. Guests are encouraged to take pennies and make wishes. The vegetable garden along the driveway now has just a variety of peppers. I’m anxious to remove them and use the space for something else until it’s time to plant next season’s vegetables. 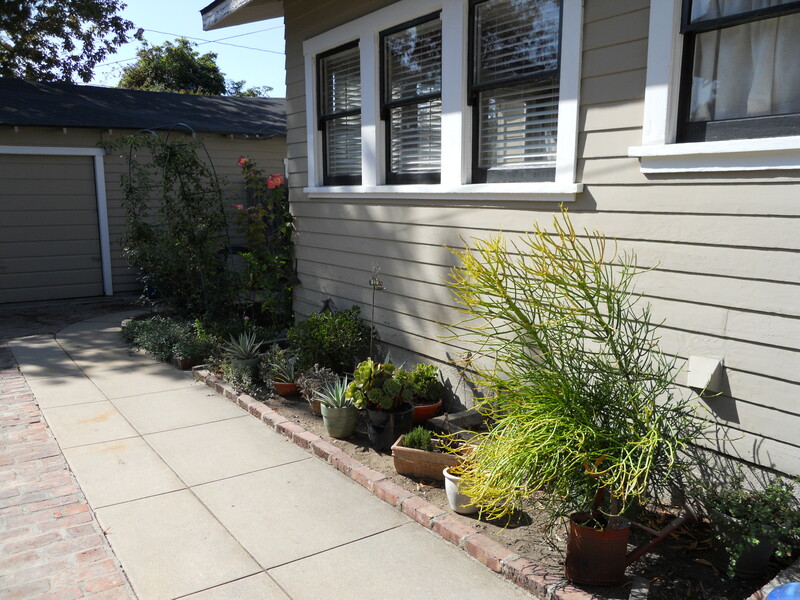 With the exception of a few roses, most of the plants along the driveway are succulents. It was important to me to have quite a bit of drought tolerant plants since the majority of my yard takes regular watering. 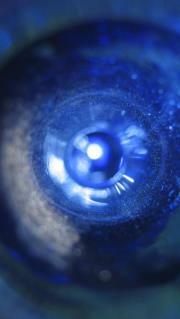 And I have to admit, I love finding different varieties to add texture, color and shape to the spaces. I hope you enjoyed this little tour of the yard. 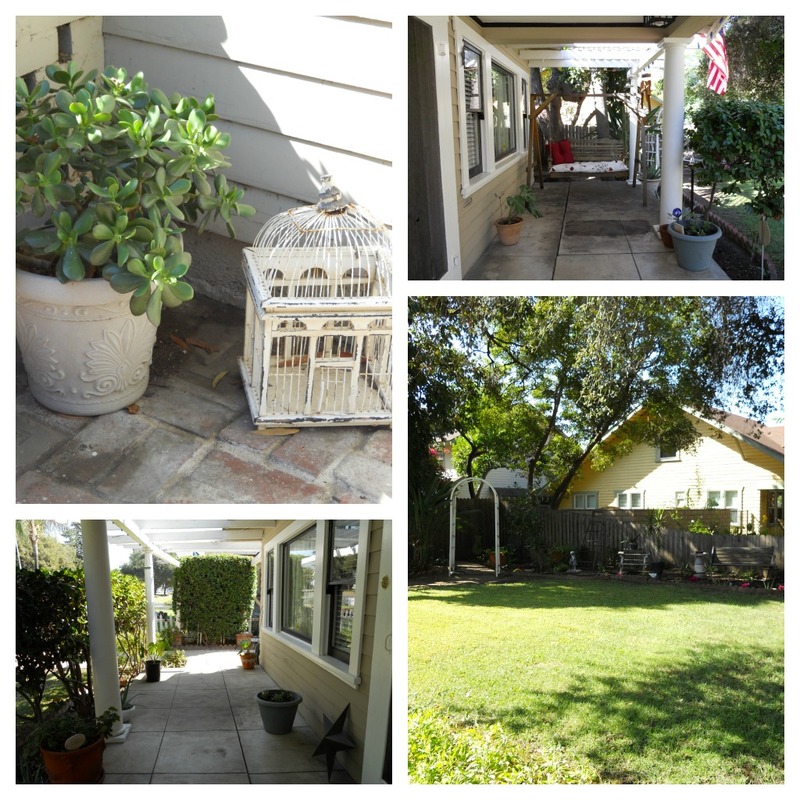 Living in Southern California we spend a lot of time outdoors so having a yard like ours is perfect. We love to hang out, BBQ, have friends over and just enjoy the beautiful weather. And you never know when an impromptu game of horseshoes or Bocce ball will break out.